Average 4.7 / 5 out of 50 total votes. 800 years ago, 3000 dimensional gates opened across the entire world. In that moment, it was as if 3000 different colored eyes opened across the world as hordes of monsters swarmed out of these gates like tears. Some infiltrated the humans’ cities, disguising themselves as normal human beings while feeding upon human blood to sustain themselves. In a night, the Human race fell to the bottom of the food chain. 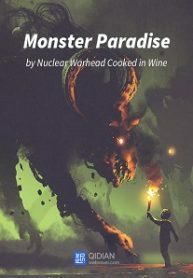 You’re reading chinese web Novel Monster Paradise on BOXNOVEL.COM. We will have 792+ Chapters to completed this. Thanks!